The last time I wrote about my experience buying a car was way back in 2009 here. Back then, my car shopping journey was limited to magazine classifieds, a couple of auto sites and blogs, and word-of-mouth recommendations. Over the years, I’m better educated now on my options and there’s a definite spurt of auto sites online. 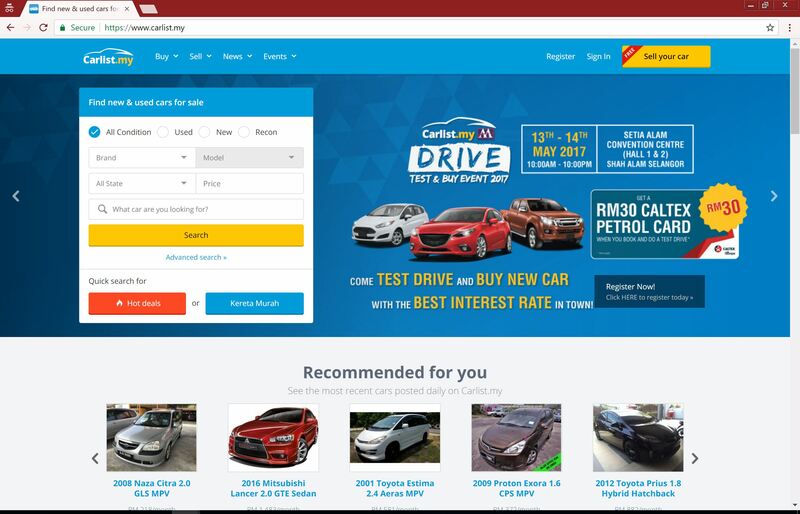 The largest online car marketplace in Malaysia has got to be Carlist.my. Hands down. They have thousands of car listings on their site – from Sales Agents, car dealerships etc, for NEW and USED cars completely FREE for you to browse and use. I have changed 2 cars since that last blogpost in 2009 and both times, I had my mobile phone with me throughout the process – from reading up about the car to view / test drive, or researching about the models and other competitors, right at the car showroom while talking to the salesman! And that’s not abnormal. Most of us do that! Be honest! Because nobody wants to be fleeced, and they just want an easy and quick way to be a more informed buyer, right? I’ll probably change my car sometime next year. My toddler boy is getting bigger, and to move him in and out of the carseat in my sedan is getting tough for my bad back. Old age. Boo hoo. However much I love my current car, I should probably give in and move on to a “soccer mom” car of choice – an SUV! Hubby believes in changing his car every 3 years, so it doesn’t hurt to start shopping for potential shortlist now. So I downloaded the new Carlist.my mobile app. 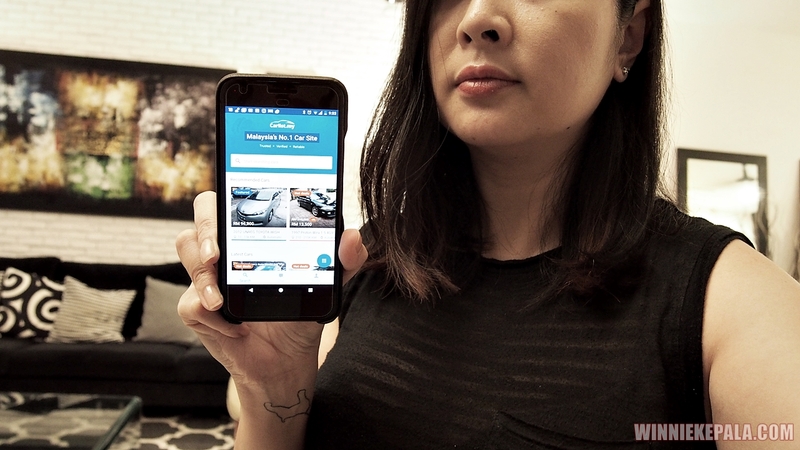 I can’t tell you how convenient it is to browse for car listings on Carlist.my new mobile app. The basic search function allows selection of brands, model, location, and used/new car listings. The advanced search filters allow selection of price, year, mileage, colour etc. These criteria can be used as a sorting filter in the results page as well. I came across a car that I’ve always admired from afar and secretly wanted. The Range Rover Evoque. And in red, too! I love how detailed the whole process is thought out – from the different options of inquiring about the car and contacting the seller via chat or phone call to verifying the dealer in question. 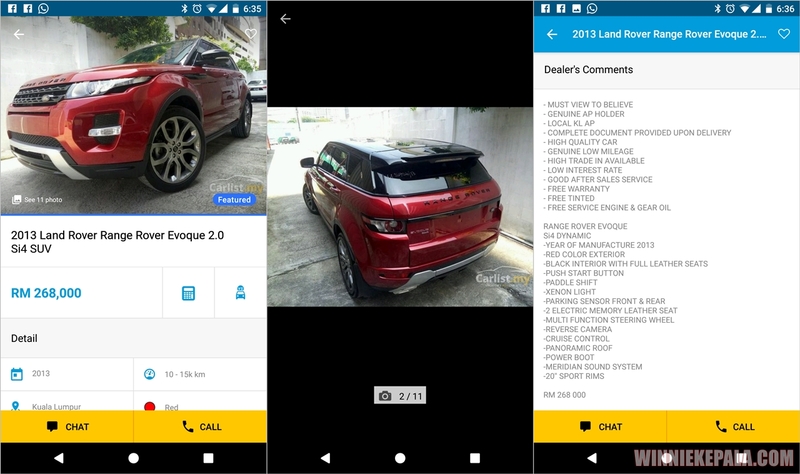 You can click on the sellers’ name to find out more about them, like their contact details, the dealership they’re from, and what other cars they have listed. All of these give me a much better peace of mind, to know that I’m not speaking to a fly-by-night freelance “agent” or car salesman from hell, who might rip me off and disappear with my money. The Carlist.my app has made the process very safe and reliable for a shopper like me. 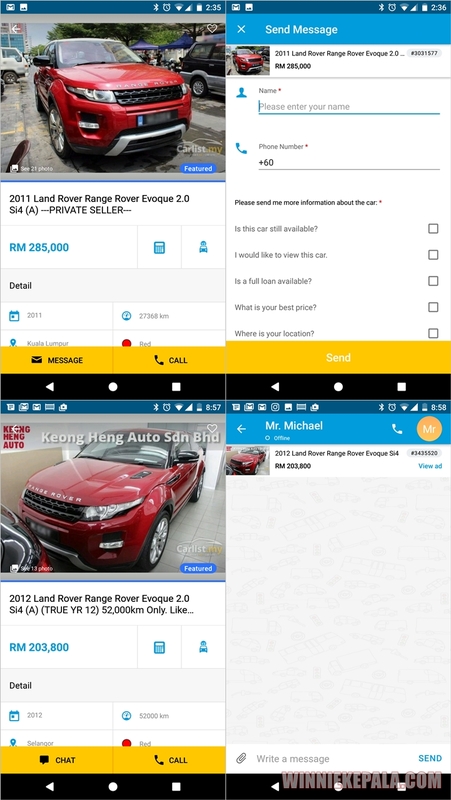 I continued to drool over the Evoque before realising the only possibility of me owning one for my next car would be to go for one from 2012, and there are good deals for listings below RM 200K. Honestly though, even that’s stretching my budget. But one can wish. So I’m saving this Search Query to revisit this car at a later time. Let me sleep over it. More like, dream about it. In the meantime, I’ll continue browsing the app, checking it every now and then if there’s any good deals worth exploring. 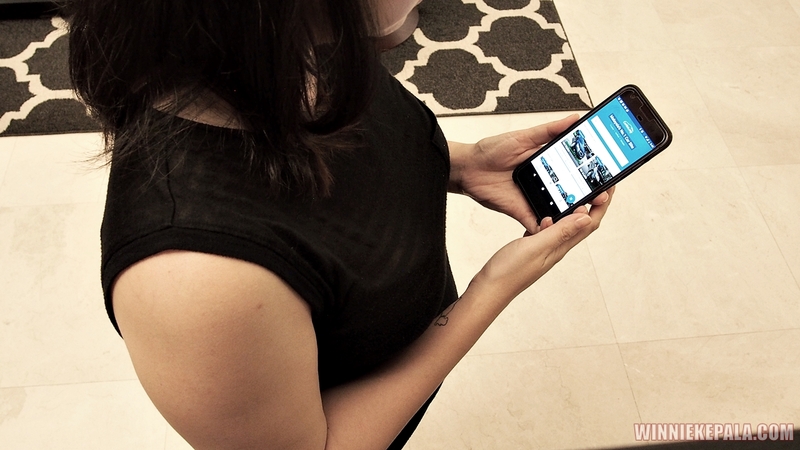 I can’t rave about how convenient and easy the app is for a potential car buyer like me. 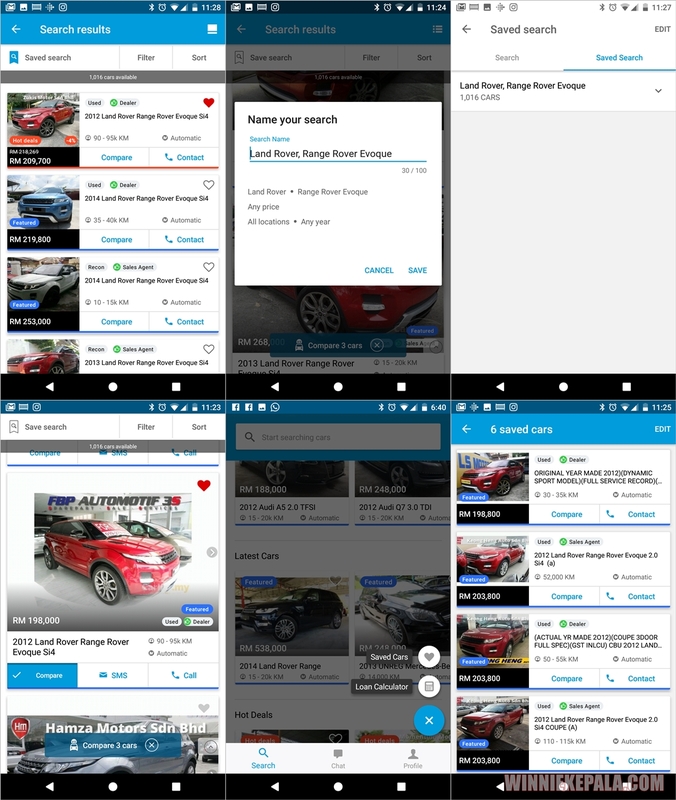 It takes out all the previous hassles and worries, and the whole process of browsing, searching, researching, shortlisting, contacting the car dealer, and even using the loan calculator is all in one single app! It’s perfect! So, now what other SUV models should I look at next? What about the new Peugeot 3008? Or the 2017 Mazda CX-5? If you’re car shopping, too, download the Carlist Mobile app on Apple App Store or Google Play Store.